At each and every snorkeling site you can see many types of tropical fish and sea life. If it lives on the reefs you can see it on a snorkel trip with a St. Croix guide! 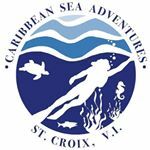 St. Croix’s professional instructor/guides are experienced with all of our snorkeling sites and enjoy sharing their knowledge with our snorkelers. Most shops snorkel seven days a week both at pre-determined times and with custom times and trips to meet your schedule. And no St. Croix visit is complete without a trip to the World Famous Buck Island Underwater National Park,. Come join us in our exploration of the unique underwater world.